1. Oculoplastic surgeon are trained in the medical and surgical health of the eye as well as the eyelids. This allows them to keep the well being of the eye as a first priority while planning your surgery. 2. 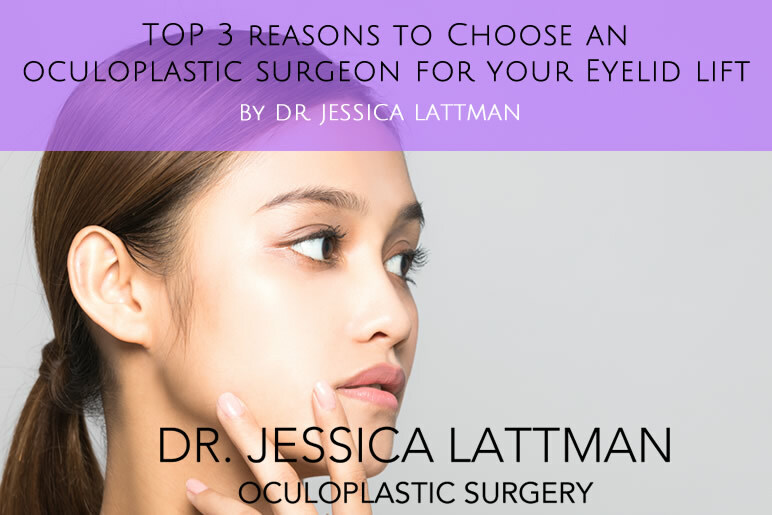 Oculoplastic Surgeons have specific training in the anatomy and function of the eyelids. They can handle the many complexities the eyelid area. 3. Oculoplastic surgeons take care of eyelid trauma as well as cosmetic issues. They have a deep undunderstanding of the eyelid anatomy.